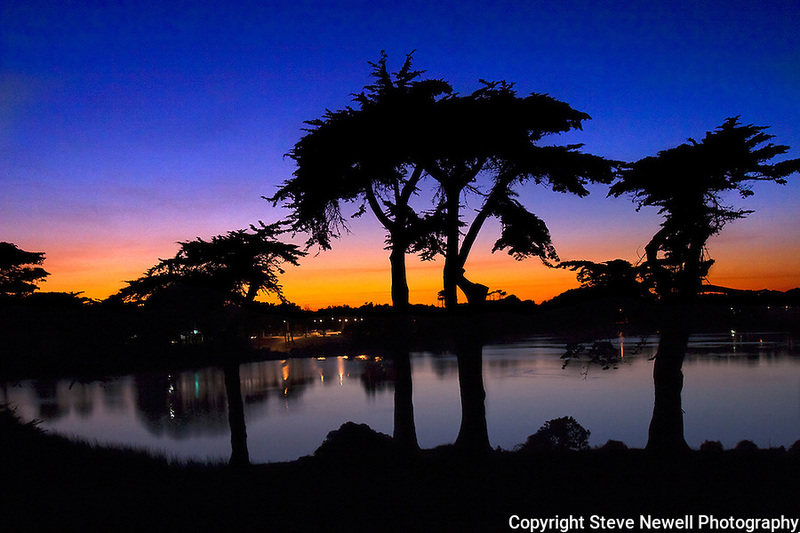 "Cypress Sunset" at Harding Park Golf Course in San Francisco. I was leaving the media dinner prior to the start of the 2009 President's Cup which I covered that week for the SF Examiner's online newspaper. I took this photo from the top of the gallery stands as I was departing. The height of the stands allowed me to see the reflection in the water at the best angle to compose the Cypress Trees. The city pollution in the air provided one spectacularly colored sunset over San Francisco, California.